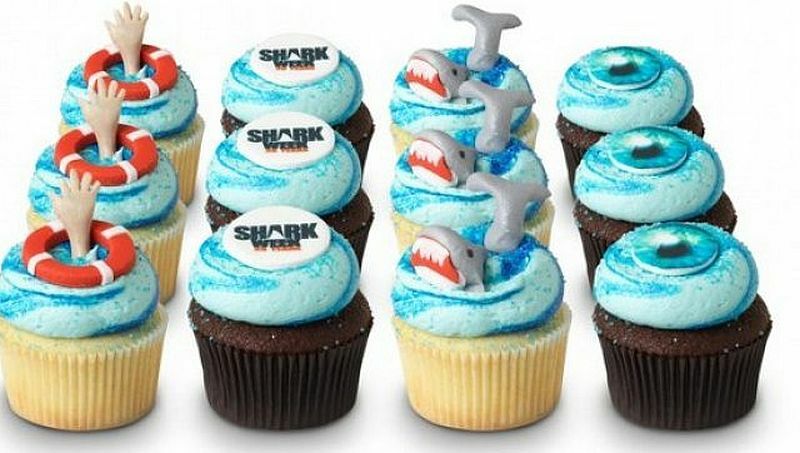 Look at all the cool partners for Shark Week- send us those cupcakes! Shark Week is nigh, coming in the next few days as it chomps its way onto Discovery and is in partnership with many businesses that get into the swim of it. Everyone wants to ride the wave of the 30th-anniversary hoopla and excitement. It’s Shark Week time as the oppressively hot weather has everyone longing to jump in the ocean for a swim, kind of. Actually, maybe just up to the ankles. Discovery sent us their list of participating partners who have cooked up special deals for the fans to get into the sharkie spirit. 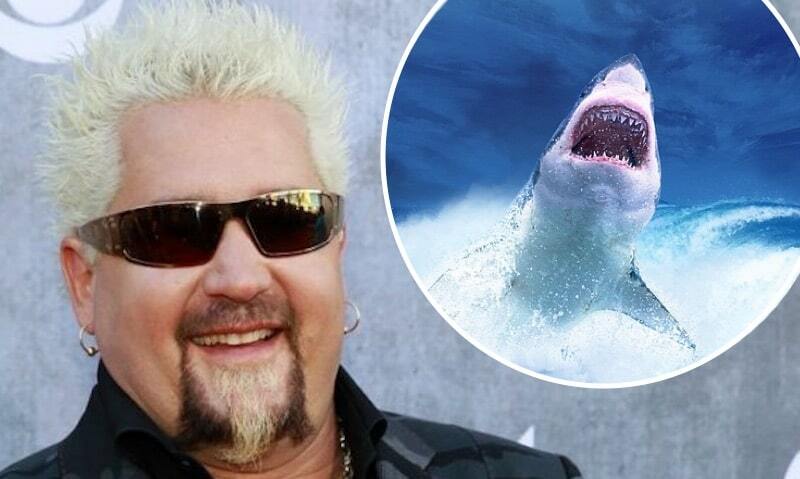 As you may already know, Shark Week is the longest-running summer TV event and it returns to Discovery Channel on Sunday, July 22 to Sunday, July 29. They’ve partnered with an impressive list of businesses while giving fans the chance to support hammerhead shark conservation efforts around the world. A fin-fin win-win! The dating site Tinder, upscale health club Equinox, and ride service Lyft have all partnered up with Shark Week on Discovery. 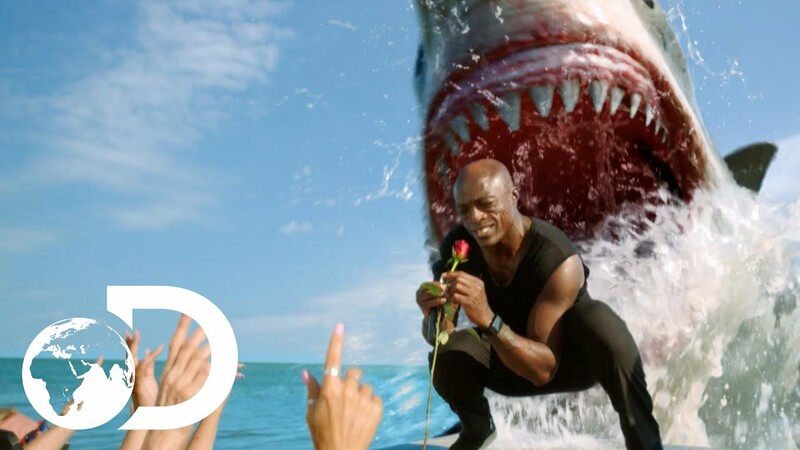 Tinder and Discovery created five Shark Week branded profile cards that have tips on how to save sharks and will be found in the Tinder app from July 10 to July 29. Tinder and charity site Pledgeling will give three winners and their dates a chance for a shark diving trip to the Bahamas. Pledgeling is also enabling donations across both the Tinder app as well as a text-to-donate campaign promoted on air and across other digital channels to benefit non-profit Oceana. To donate now through July 29, text SHARK to 707070. Equinox will be hosting themed EQX swim classes at their Newport and South Bay locations. And on July 17 and 18, Equinox will host advance screenings of Great White Abyss and swag giveaways at the pool areas of their Newport and South Bay locations. 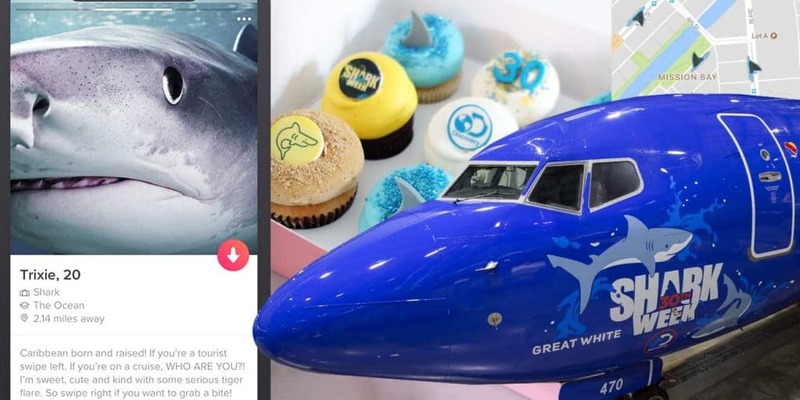 Southwest airlines, Great Clips, Georgetown Cupcakes, Oceana, MLB Network and Live Love Polish have returned to partner with Shark Week on Discovery again this year. MLB Network will give fans a chance to win a trip to the 2018 MLB All-Star Game and an exclusive Shark Week prize pack. Southwest rolls out a Shark Week Fleet of five aircraft. Go to FlightAware.com where the airline’s Shark Week Fleet can be tracked and spotted via custom-created shark icons. Also, head to the Southwest website and enter for a chance to win the Dare to Dive sweepstakes, an all-inclusive five-day great white shark cage diving excursion off Guadalupe Island, Mexico, with Islander Charters. Live Love Polish’s custom nail polish collection features four thermally reactive polishes and nail vinyl’s inspired by sharks, such as dark blue polish, ‘Midnight Mako’, a yellow polish, ‘Lemon Shark’, a teal polish, ‘Shark Spark’ and a red polish, ‘Sharkify My Love’ which will be sold online. Georgetown Cupcake rolls out their delicious 2018 Shark Week Dozen, which will be available until July 31st and can even be shipped! Georgetown Cupcake goes all out in their Shark Week cakes! And, for every Great Clips Online Check-In app downloaded during the month of July, Great Clips will donate $1 to Oceana shark conservation efforts (up to $10,000). 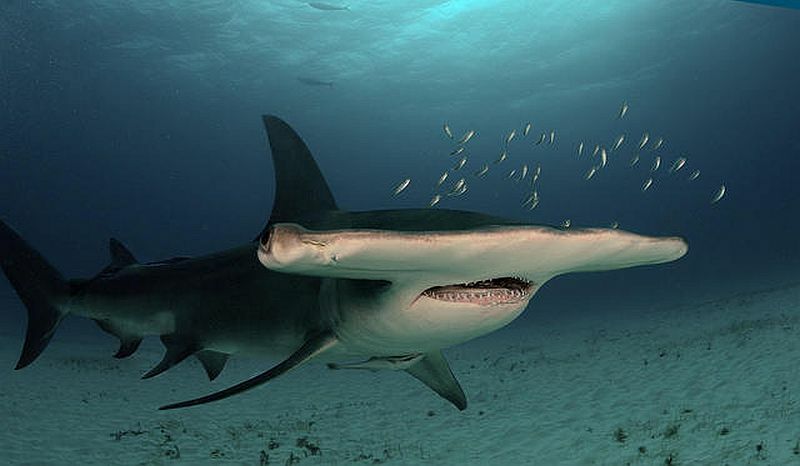 Discovery continues its partnership with Oceana to help protect vulnerable hammerhead sharks, which are one of the species most threatened by the shark fin trade. Starting July 21, Shark Week will be hosting beach cleanups with Ocean Conservancy at Rockaway Beach in New York, the Santa Monica Pier in Los Angeles, Osterman Beach in Chicago, South Point Pier Park in Miami and Beverly Triton Beach in Annapolis. 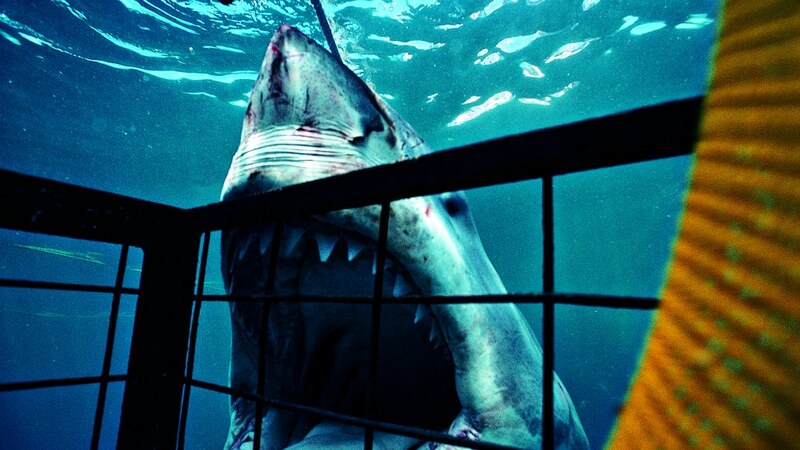 Shark Week returns on Sunday, July 22 at 8:00 PM ET/PT and continues through Sunday, July 29 to Discovery Channel.